The Portland State Library is expanding our comics and graphic novels collection! We have added 82 new comics by Latin American and Spanish authors, now available for anyone to borrow and enjoy. Most readers are familiar with American comics and Japanese manga. Many superhero characters are so familiar they are household names, and the stories are so epic that they span multiple decades. Yet the rich cultural and literary traditions of comics and graphic novels from other regions around the world remains relatively neglected by scholars. Latin America has a rich comics publishing tradition. Each region and country brings a unique perspective on comics and graphic novels, and comics are particularly popular in Mexico. Readers and scholars alike can examine regional cultures and influences through storytelling in Latin American comics and graphic novels. These contemporary works give insight into visual rhetoric, philosophy, and comics publishing in another part of the globe. Examine the unique artwork in Turista Accidental, where the intentionally messy style expresses the discomfort of traveling. 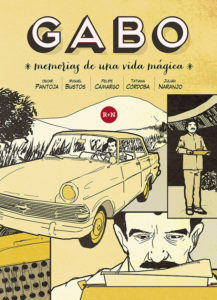 See a biography of Gabriel García Márquez unfold using colors in Gabo: memorias de una vida mágica. 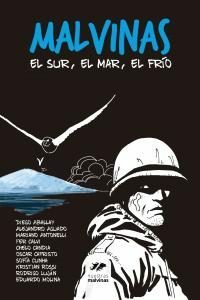 Finally, explore the Falklands War through nine different stories in Malvinas: El sur, el mar, el frío. Portland is particularly well-known as a “Comics City,” and the home of famous comics artists, authors, scholars, and publishers. The Comics Studies program at PSU draws from this vibrant community in its mission to teach students about comics history, theory, and practice through engagement with top-notch scholars, the best professionals in the business, and cutting-edge publishers. These new additions further enhance the library’s commitment to supporting the study of comics at PSU. Researchers can now compare comics unique to Spanish-speaking regions to other comics around the world. The PSU Library’s expanded comics collection is another milestone as we continue to support our students.